Female vocalist Hideka originally sang and played bass with Loco-Holidays -- a highly influential band signed to legendary label of the 90s Shibuya scene, Confusion (by Pony Canyon). Subsequently performing solo under the name Ruby Ruby Star, she focused not only on song writing, but on applying her diverse talents in playing instruments such as bass, guitar, organ, and synth, and also in programming. Hideka has written and performed jingles and background music for J-WAVE and other major Japanese broadcasters, while also proactively looking to supply her music overseas. In Hideka's unique "dream pop world", her floating, wafting voice is perfectly married with spacy, oriental atmospheres. Leaving behind the hustle and bustle of the city and returning to her home turf in Yamanashi, she now embarks upon a new solo project to freely deliver that Hideka sound to listeners all over the world. In July 2008, Hideka contributed a song to HALF DREAMING: Asian Shoegaze Compilation -- a world-wide release featuring artists from Japan, Indonesia, the Philippines, Malaysia, Korea, China, and Hong Kong. 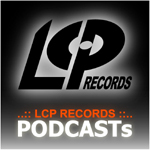 And we now welcome her to LCP Records for the global release of her much-anticipated new album. 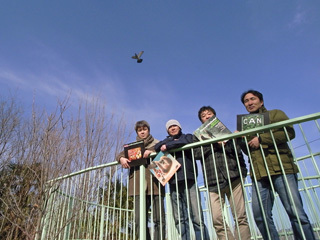 2012/03/04 » New official site's address. NORO is a multi-talented singer, songwriter, musician, recording/mixing engineer and music producer. She works out of her own private music studio located in Tokyo, Japan. She specializes in mixing 1960's space age pop music with 1990's style club music, creating her own futuristic sounding compositions. 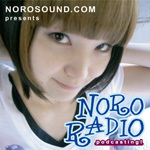 NORO's voice is often compared to the voice of a sweet angel. Her singing is loved by people throughout the entire world. NORO and her music have been featured on several television shows, radio programs, magazines and newspapers throughout Japan. 2012/03/31 » Torutaru vol.1：NORO in "the Room1058" Start! 2011/04/28 » VOTE FOR MY REMIX!!!!!!! !